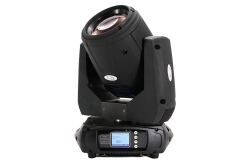 Professional Beam with Super Prisms (16 facet+24 facet prism) and powerful, ultra bright OSRAM 7R Lamp (2000 hours) , 3 phase P/T motors , Solid Beam angle: 2.5° ,Anti-reflection 136mm front lenses , Control Channel:14/16 DMX ,11 colors , 16 gobos , Frost filter, Motorized focus from near to far (2.5M-30M) , 13.2kgs. 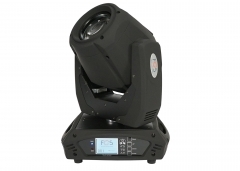 Led 75watt Beam Moving head, 14 colors , 17 gobos , 8 facet prism with variable speed and direction , fresnel lens, powercon in/out , 9/11 Dmx channels. 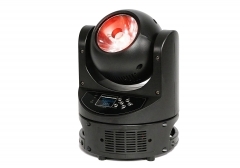 Unlimited Rotation Beam moving head with 60 watt Led Osram multi-chip RGBW.Dimmer, Beam Angle 5°, High-efficiency 94 mm optics, 0-100% linear dimming , Adjustable speed strobe effect ,Pan/Tilt 360° infinite rotation, Powercon in , 5kg.